Buying homes in Hamilton, houses, condos in Hamilton / Ancaster / Stoney Creek, Ontario real estate for sale. Congratulations! You have decided to purchase a home, or are thinking about buying a home in Hamilton Wentworth. You'll be joining the ranks of hundreds of families who realize that home ownership offers a number of benefits including building equity, saving for the future, and creating an environment for your family. When you own your own house, your hard-earned dollars contribute to your mortgage. The equity you earn is yours. Over time, your Hamilton property will increase in value. In the following reports and videos, you'll find the information you need to make a wise buying decision. I will take you through the planning process step-by-step , to help you determine which home is right for you. You'll find a host of informative articles on mortgages, viewing homes, the offer, closing details and moving. 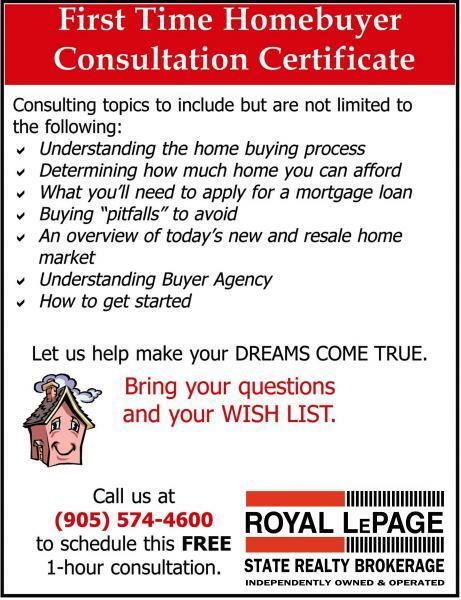 Please contact me if you have any questions about buying a home in Hamilton / Ancaster / Stoney Creek or elsewhere in Ontario. Watch home buying videos for tips and information. Go to www.royallepagetv.ca.